It’s any Sunday in Everytown, USA. At the local church, services have begun. Husbands and wives, children and grandparents are all seated together listening to the pastor, who is giving a lively sermon. Behind him, projected onto a white screen, are scripture passages that correspond to the words being spoken. Soon a hymn begins. No one in the congregation scurries for a songbook or asks what page they’re on because hymn lyrics now dance across the screen in front. People stand shoulder-to-shoulder, neighbor-to-neighbor and sing, faces forward, their voices combining as one. Down the hall a projector sits on a table as school age children gather around for their bible lesson. Animated images and words are projected to help enhance the teacher’s message. Later tonight this same projector will be brought into the common room where families will meet for movie night. Then in a few days, church administrators will use it to display spreadsheets and charts depicting the parish’s financial state. 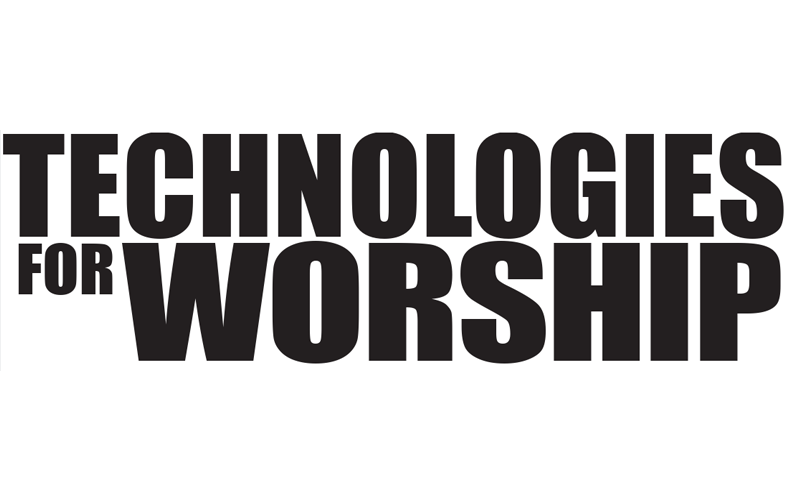 Welcome to the future-where digital technology and worship combine seamlessly. Let’s face it: Americans have ever-shortening attention spans. 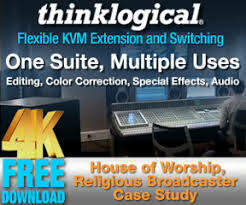 With the Internet, home theater systems, cable television, video games, and home computers, people have become accustomed to obtaining information quickly and in a format that excites and inspires. Most teenagers have grown up with these forms of technology and expect nothing less. But churches shouldn’t see this as an obstacle; instead they should work to incorporate these tools in creating sermons that will capture the hearts and minds of their parish. The easiest way to enliven your community church services is with a digital projector, which is quite a bit more advanced than the slide or overhead units that you may be using. While all digital projectors can captivate an audience by displaying vibrant computer and video images, different models offer varying features that can be as unique as night and day. So what should your church look for in a digital projector? Need will ultimately determine the answer to that question, but there are some basic options to take into consideration: brightness, resolution, weight/installation choices, price, and customer support. While these are the most essential, the newest projector lines offer a myriad of other options that may or may not be desirable depending on how the unit will be used. Before making a final purchase be sure to consult a knowledgeable sales consultant who will be able update you on the latest technology. Resolution, which is the number of pixels a projector uses to create a picture, helps to determine how clear a displayed image will be. Simply put, the more pixels a projector uses, the clearer a projected image. Two of the most common native resolutions available today are SVGA (800 x 600) and XGA (1024 x 768). Both are compatible with computers or other display devices such as VCRs or DVD players. However, because sanctuaries are usually much larger than meeting rooms or classrooms, you should consider a projector with the highest resolution you can afford. A high resolution is essential especially if you plan on displaying text. Along with resolution, brightness helps to determine the clarity of a projected image. A projector’s brightness is expressed in terms of lumens. Most units today offer at least 1000 ANSI lumens. This is typically bright enough to display a clear image in a small-to-medium sized room with the lights on and ambient light, like that coming in from a window. Consider the size of your sanctuary along with the amount of light that streams in through windows or open doors. If the room where services are held is larger than an average-sized conference room or if there is a lot of outside light, choose a projector with a higher lumens rating. “I usually recommend at least 1000 lumens for a small church and 2000 or more for larger ones. 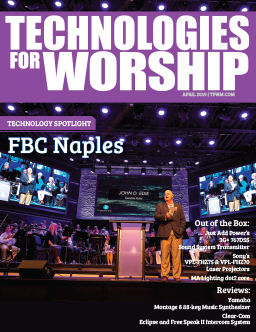 But since every church is different and budgets are always an important factor, the best rule of thumb is to purchase the brightest projector you can afford,” said Marcelino. The weight of a projector does not determine its overall performance, however, ultra-lightweight units (those under 5 lbs.) tend to offer lower brightness and resolution capabilities. It is probably most desirable for a church to choose a unit that is a little heavier (between 10-20 lbs. ), but can offer stronger features. If you plan on using the projector in one central location (i.e. : the main sanctuary), you should consider having the unit professionally installed. Almost all projectors can be permanently installed, which means that the unit is mounted (usually on the ceiling) so that it is out of the way and won’t interfere with the aesthetics of the room. If the projector will be installed in one location, it is important that the variable conditions of that room are taken into consideration before purchase. For most churches, price is a leading factor influencing a purchasing decision. A projector’s price can vary as much as a its features- from base units at under $2,000 to those with all the bells and whistles that can sell for well over $15,000. Marcelino says that the average cost of a projector that is powerful enough to suit the continuing needs of a church, is between $3000-5000. Your church’s new projector will be a trusted member of your parish for years to come. That’s why it’s important to remember that who you buy a projector from is just as essential as what features the unit offers. Research several companies’ service and technical support policies and you’ll find they vary widely. Do your homework. Find a company with a good warranty program and, preferably, one that offers an upgrade policy-just in case you find that your church’s new projector isn’t quite as powerful as needed. In addition, try to find a company that offers free, lifetime 24/7-customer support on its products. This way you’ll know that the company stands by its products and won’t leave you out in the dark if your new unit stops functioning properly. In conclusion, buying a projector is a big decision and there are a lot of factors to take into consideration. Be sure to think deeply about the needs of your church and consult a professional before buying.